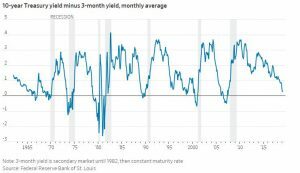 The Treasury yield curve inverted last weekend and many are concerned: Sustained inverted yield curves are often harbingers of recession. Insurers could also feel the impact, since the yield curve can influence an insurer’s rates, profits, and portfolio structure. An inverted yield curve may be cause for concern. According to the Federal Reserve Bank of San Francisco, an inverted yield curve preceded all nine U.S. recessions since 1955. The Fed estimates that typically a recession occurs within two years of the inverted yield curve. An inverted yield curve is not a perfect predictor of future recessions. There has been one false positive, in late 1966, in which an inverted yield curve was followed by an economic slowdown, not a recession. There have also been several “flattenings” of the curve, which did not lead to recession. But what makes last week’s shift in the 1- year Treasury curve worrisome is the convergence of other negative signals over the last year – including expected macroeconomic considerations such as the waning of the 2017 tax reform. 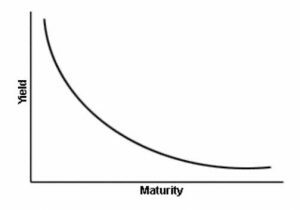 How might insurance be impacted by a sustained inverted yield curve? 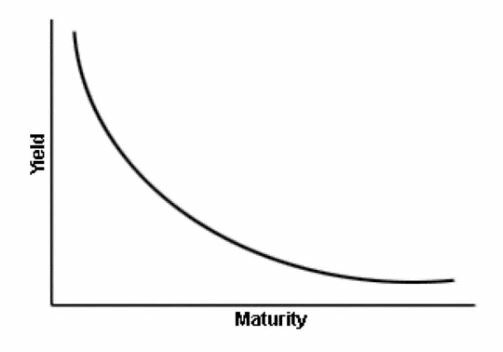 An inverted yield curve has multiple implications for insurance, some of which depend on the nature of an insurance company’s liabilities and investment profile. Lower long-term rates hurt insurers whose claims take a long time to settle, like workers compensation. The money set aside to settle those claims gets invested in long-term securities. 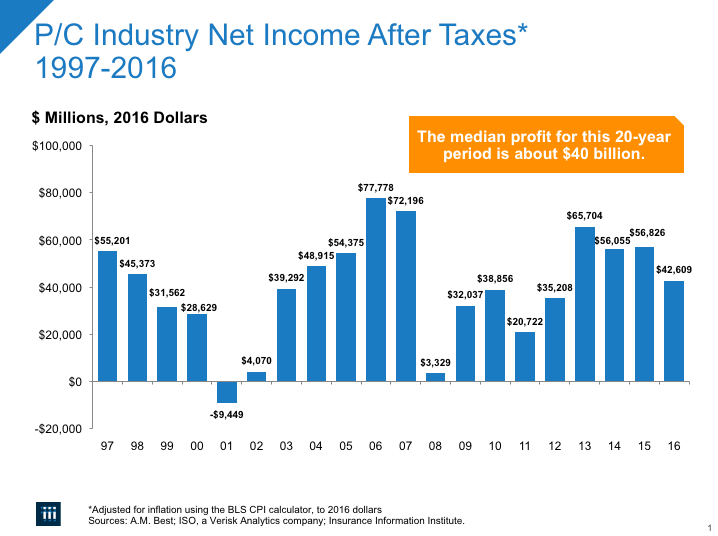 When those rates fall, insurers enjoy less investment income, which lowers profits. This puts pressure on insurers to raise rates to make up for the lost investment income. The inverted yield curve also has implications for insurer investments. Given investments in fixed income and real estate, an inverted yield curve will require adjustments to avoid mismatch in obligations and revenues. Remedial actions could include selling assets to realize capital gains because the asset value of the bonds that had been bought at higher rates would now be more valuable. 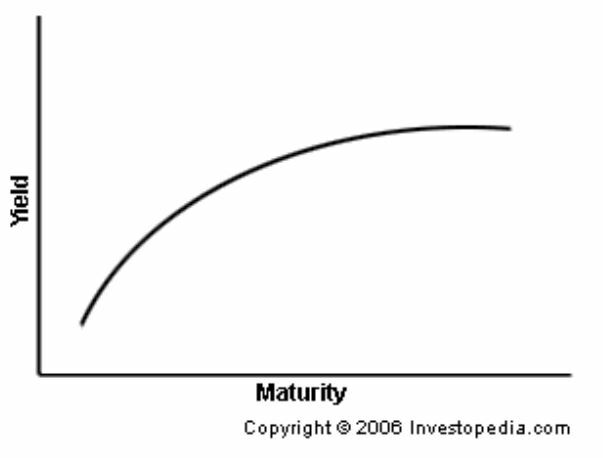 The “yield curve” is a relationship between 10-year Treasury bond yields and three-month bond yields. Usually, the 10-year bonds have higher yields than three-month bonds, to compensate investors for longer-term risks. But when there is recession risk and fears of falling interest rates, investors will invest in longer-term bonds to “lock in” at yields that are currently higher than they think will exist in the future. 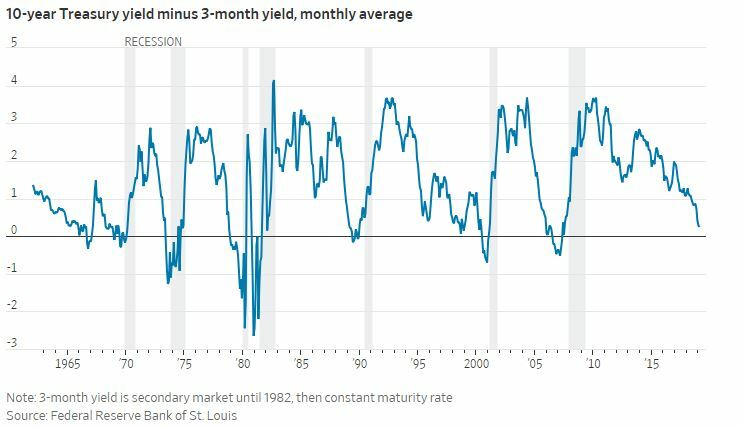 This increased demand for longer-term bonds will, paradoxically, lower yields since bond prices and interest rates are inversely related. At the same time, short-term bond demand goes down (since everyone is running to the long-term bonds), which increases yield. If this happens, the three-month bonds will have lower yields than the 10-year bonds. And voila: the “normal” yield curve inverts. The longer the inversion lasts, the higher the odds of a recession in the following quarter. For example, according to the Federal Reserve Bank of Cleveland, the yield curve inverted in August 2006 prior to the onset of the Great Recession in December 2007. Verisk Web Seminars: Property/Casualty Industry Results 2016: Perspectives from ISO, PCI, and I.I.I. 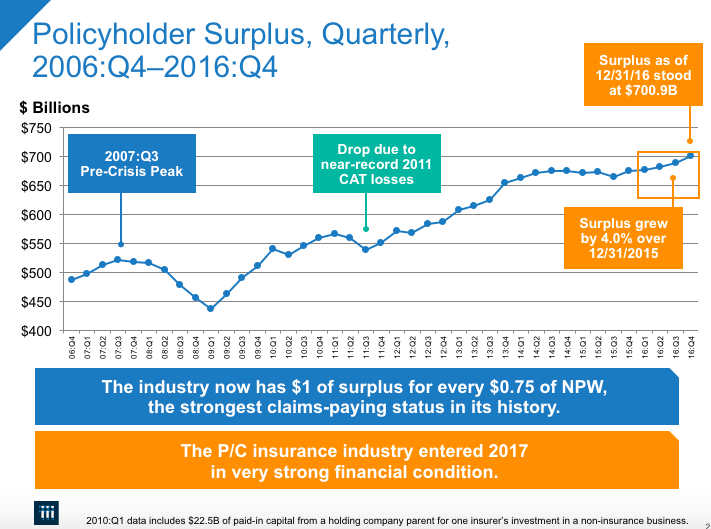 The property/casualty insurance industry is facing difficult times. 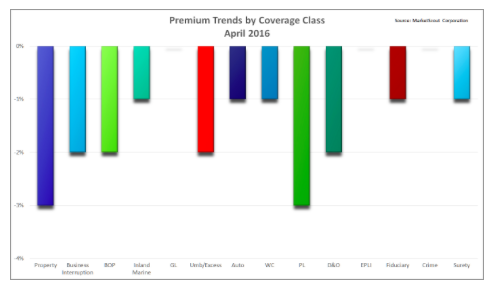 Underwriting gains are becoming losses, premium growth is slowing, and investment yields are shrinking. On the other hand, the industry’s surplus is reaching record highs and some lines and market segments are showing signs of growth. In this webinar, executive leaders from ISO, PCI and the I.I.I. discuss how the insurance industry performed in 2016, and explore some key challenges and opportunities facing insurers in the years to come.